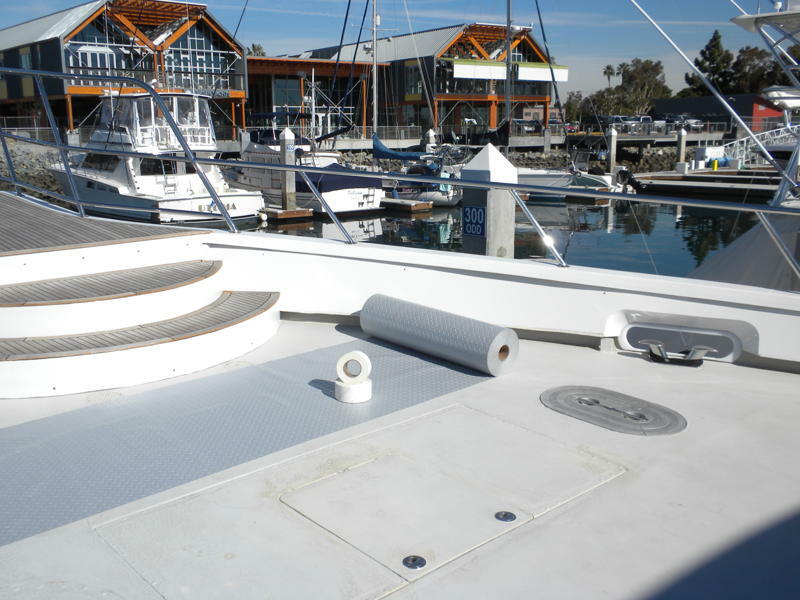 DeckProtek can be found on decks on Navy ships, Coast Guard Fleet, Mega yachts, Commercial Flooring, Hospitals, Laboratories, Government Facilities, and Power plants. Easily passes the NFPA 701-15 Test 1 fire retardant standard as required for use as a shipboard protector on US Navy ships and the Coast Guard Fleet. In fact, drip burn and after-flame results are "0" for all 10 samples tested in each thickness. 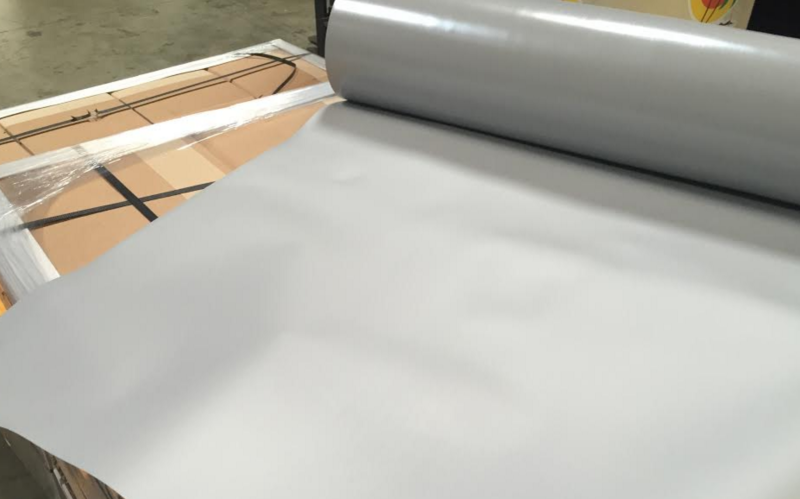 GPS Deckprotek features a top surface with matte finish, creating a walking surface designed specifically to meet the needs of these industries. Stocked in "Battleship" Gray color, very pleasing to the eye, and does not show dirt as easily as most other colors. GPS DeckProtekTM is available on a custom order basis in just about any color with a 500 pound minimum order. Various finishes, including diamond plate are available as custom orders. GPS DeckProtekTM is manufactured using state of the art equipment and the highest quality assurance standards in an ISO-9001-2000 certified plant. 100% Made in the USA. Stocked in 14 and 30 mil. 30 mil rolls are 36" x 100', weighing 43 pounds for easy handling. 14 mil rolls are 36" x 200', weighing 40 pounds. Rolls are bulk packed unless otherwise specified to help reduce the amount of packaging materials that must be discarded, and keeps costs minimized. No minimum orders for stocked materials. GPS DeckProtekTM provides a high level of fire retardant surface protection in environments where fire retardant products are desirable. They roll out quickly and easily, and are removed with minimal effort. 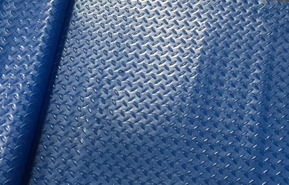 In many cases, these cost effective coverings replace very expensive coverings like fire retardant plywood, or door skins, and can be installed using inexpensive labor rather than expensive skilled labor needed for cutting and fitting such things as plywood. Please remember our environment and recycle these products! For a quote, please phone or email us about this product. Plastic Sheeting Questions? We Have Plastic Sheeting Answers!